Today’s clash between Hana and Koloale was rescheduled to the Wednesday February 29th due to the poor state of the pitch at Lawson Tama following heavy rain on Sunday and overnight on Monday. Little could be done to prepare the field for the game as the muddy conditions in the centre of the pitch prevented machinery from entering for scheduled maintenance work. The Wednesday fixture between Real Kakamora and Solomon Warriors has also been rescheduled. A new schedule has been drawn up and at least 2 of the 4 remaining catch-up matches from round 1 will be played this weekend. Hana’s schedule against Western United on Saturday has been maintained while the Real Kakamora v. Solomon Warriors clash has been moved to Sunday. Both matches are lined up for 3:00pm kickoffs. Most of Solomon Islands has been dealing with repeated spates of heavy rain since December. The capital, Honiara, was badly affected by consistent weekly downpours throughout January and while the weather situation has improved this month it has not yet turned sport friendly. The forecast for the next fortnight is not any better but the Solomon Islands Football Federation (SIFF) competitions department remains confident about the progress of the Telekom S-League. Head of competitions, Ian Rarawa, says his department is concerned but there is time to complete the league but admits that a change in the weather situation will be welcomed. “We can finish the league in less than 2 months and we need only 2 weeks for the championship series so we still have time. Our deadline to identify our winner for the O-League is at the end of May and we hope to wrap up the season in time. Of course, consistent sunshine will be needed and we welcome any weather change in that direction,” Rarawa says. 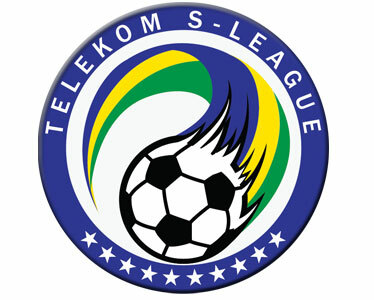 Concern about the weather is also shared by the clubs in the Telekom S-League, some of whom have not been able to train due to the poor condition of their training grounds due to the rainy weather. Hana is the worst hit with their training ground totally swamped this week as a result of rain from last week. Hana coach, Rex Masuaku, says that the only training his players have had was from friendly matches with other clubs. “Our field has suffered greatly from the heavy rain in the past 2 weeks and we have not been able to train. We have a match this Saturday and our only option to prepare for the game is to organise friendly matches with teams whose training grounds are in a better condition,” Masuaku says. Other clubs in the league are also facing similar problems. Solomon Warriors, it is understood, have not been able to train at Burns Creek field and have shifted back to their old training ground while monitoring the weather situation. Several other clubs have had to cancel training days for the safety of their players.